Jewellery is less trend sensitive than clothing, but after a few years (or decades) you might still feel the need to refresh your jewellery. 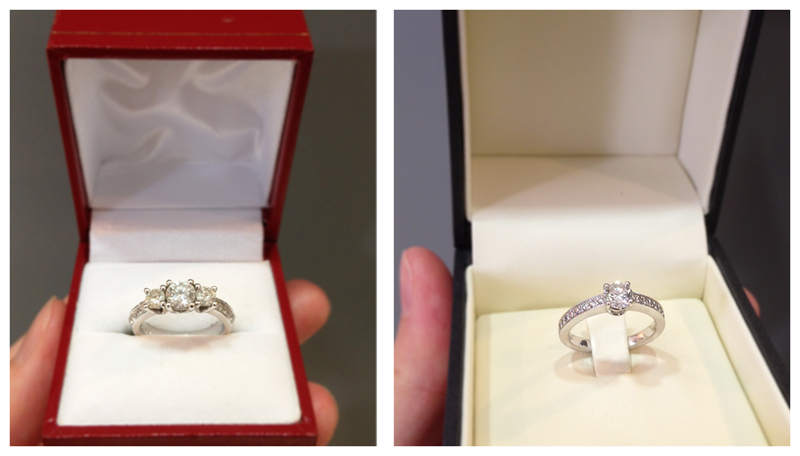 Here are a couple of examples of rings that have been redesigned using the same Diamonds, but with a new look. We used the Diamonds from these 2 rings to make into two new designs (see below). Refeshed and ready to wear with newfound pride. For their anniversary, M decided to surprise his wife by redesigning her Engagement Ring, after getting to know her taste better over the years. The ring was initially made with a centrepiece Diamond, flanked with a pair of Diamonds from M’s grandmother. Although being a pretty design, the colour of the centrepiece and side Diamonds did not match, so we removed the side-stones and they will be used for a pair of earrings at a later stage. Left; the old engagement ring with side-stones. Right; The redesigned version, in all its simplicity. It might be difficult to see, but the old design, had small Diamonds placed in two rows half-way down the band. For the new design, we used the same Diamonds, but instead placing them full circle in a single row. 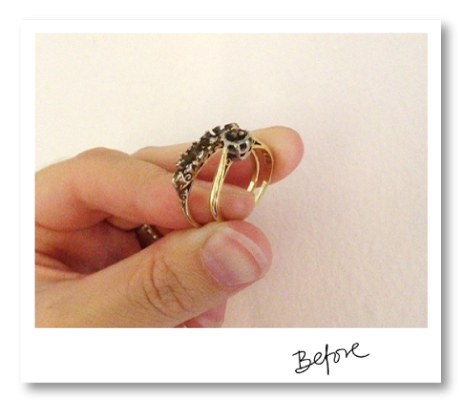 The beading on the sides, gives the ring a vintage touch, while being a cleaned up version of the ring. 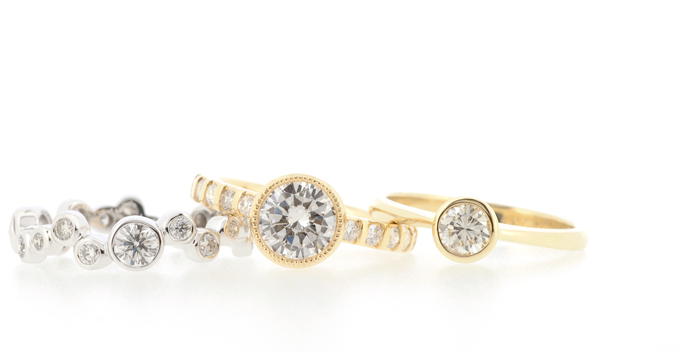 Redesigned rings using diamonds from old jewellery – all nice and sparkly again! great designs for the new rings. from. Many thanks for posting when you’ve got the opportunity, Guess I’ll just book mark this blog. Hi, I am keen to redesign an old diamond ring that was given to me (but I have never worn as it was a design that was rather old-fashioned) … Can you kindly email me to give me an idea of what it would cost to redesign & reset the ring? We have emailed you further info. Your work is beautiful as always! Your every post inspires me, thank you.